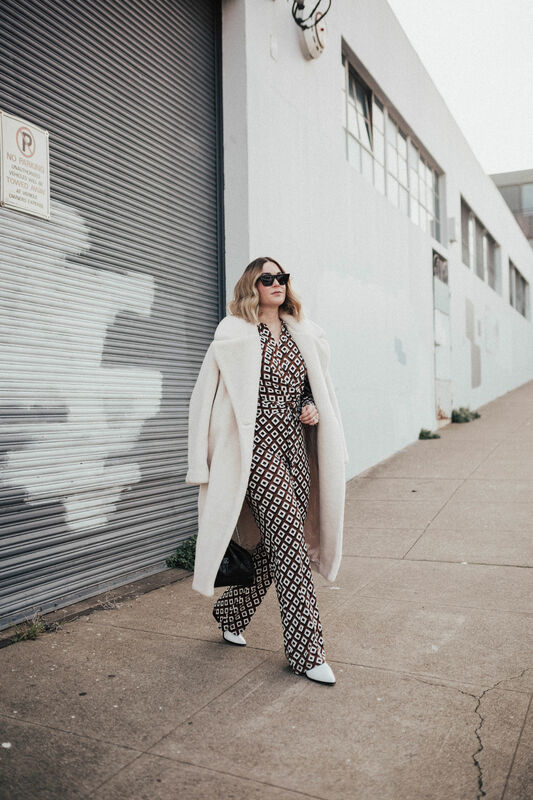 On lazy style days (yes, we all have them), I tend to find myself reaching for a jumpsuit because all you do is step into a full outfit and voila! You’re ready to go. 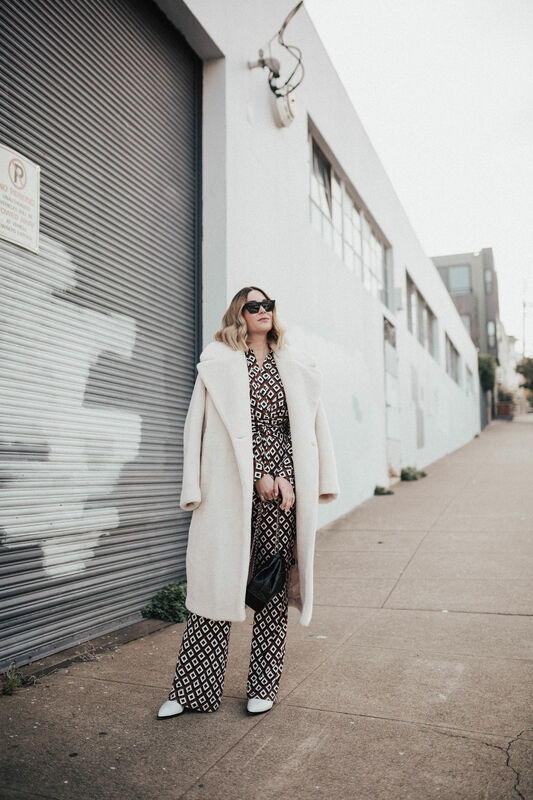 There’s really nothing better than a jumpsuit when you’re struggling with what to wear, especially since you don’t really have to think about what top to wear with what pants or what sweater to pair with what skirt. 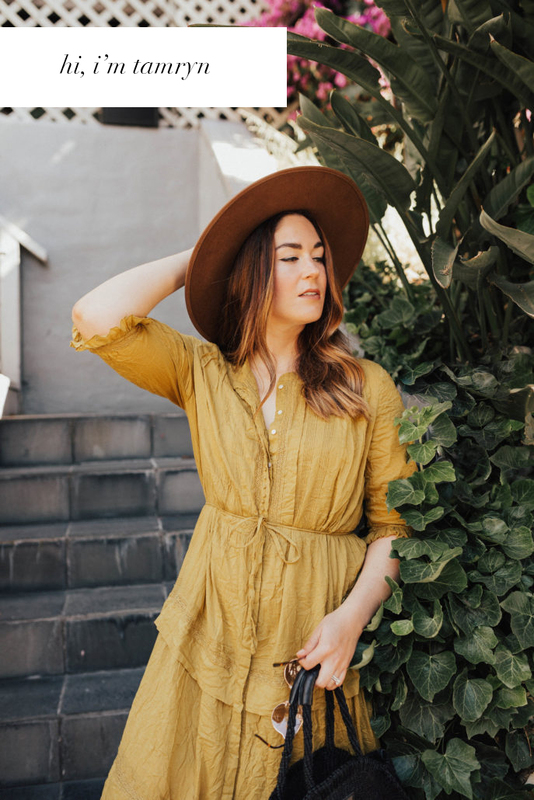 A jumpsuit covers all the bases, which is freaking fantastic. I spotted this DVF jumpsuit when I was on holiday break and it was located on the Anthropologie sale rack. Oh, and sale was also and additional 40% off. I immediately fell in love with the print and once I tried it on, I knew that it needed to come home with me. Whenever I wear this piece, I honestly feel like I should be on set for some fabulous 1970’s period film because it feels so perfectly that era without feeling dated. Something about the geometric print and the beautiful styled details (hello perfect cuffed sleeves and wrap waist!) feels so on trend that I want to wear it every single day. Also, the jersey material so soft that if feels like you’re getting away with wearing your favorite PJ’s in public. Now, that’s a win in my book.